Imagine the ultimate Colorado family retreat nestled amongst the pinon pine overlooking the Rocky Mountains. 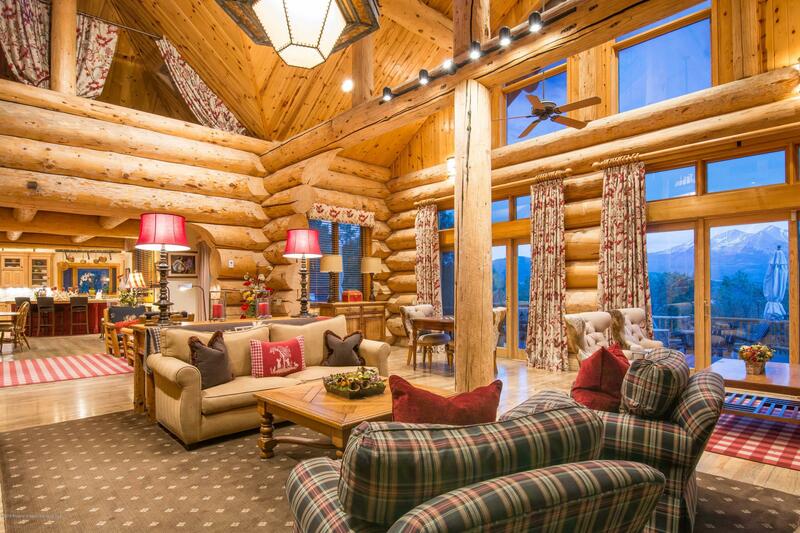 This custom Ackerman log home is ideally designed for gathering of family and friends with its grand living areas, multiple bedrooms and expansive outdoor decks. Five generous bedrooms with a ground floor master suite. Warm and inviting country kitchen makes you think of holiday meals and a place where everyone will want to be. The cozy living room is set up for entertaining, games or cuddling up with a good book. The expansive back deck has plenty of room for entertainment and enjoying the outdoor vistas and sunsets. Located on 17+ acres there is plenty of privacy yet close to restaurants, Whole Foods, golf, National Forest and entertainment. The perfect family legacy retreat!